TRENDY TWIST ON A CLASSIC DESIGN: These gorgeous platform sandals offer balance and stability for all day walking comfort and support on the heel. 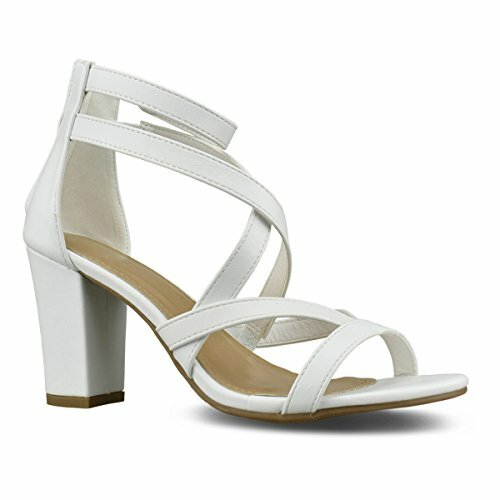 The trendy yet classic wooden detail gives these shoes a unique design that is sure to turn heads. A must have for your wardrobe to add height while keeping you on trend! LIGHTWEIGHT AND LIFTED: We love platforms to give us a boost in height and these are wearable all day long. Ultra lightweight design featuring an adjustable ankle enclosure for a custom fit. These go well with jeans, shorts, skirts, and you won’t want to take them off! EFFORTLESS COMFORT & SLIP RESISTANT: Cushioned insole for comfort and support. A sturdy rubber outsole ensures comfort through prolonged wear. A nice boosted platform adds height and lengthens your legs. 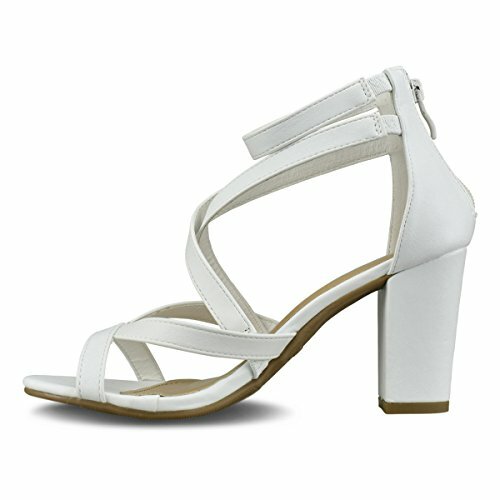 These open toe heeled sandals feature a beautiful chunky heel for perfect fit and height. 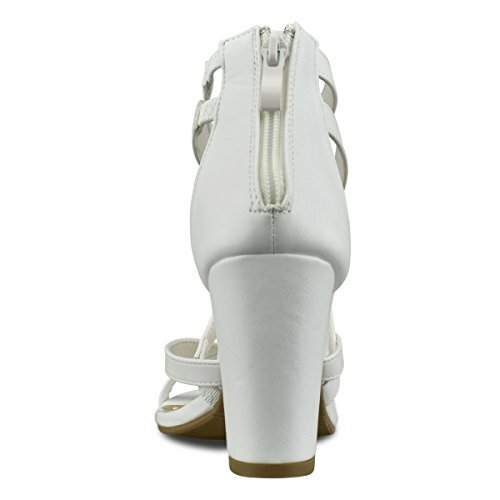 Finished with a back zipper closure and adjustable ankle strap and cushioned insole for comfort. LIGHTWEIGHT AND LIFTED: We love platforms to give us a boost in height and these are wearable all day long. Ultra lightweight design featuring an adjustable ankle enclosure for a custom fit. 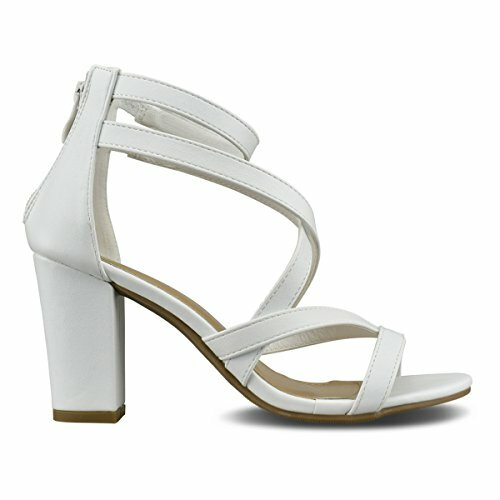 These go well with jeans, shorts, skirts, and you won't want to take them off! MEASUREMENTS: Heel 2.25" to 3.5"